IT WAS AS THOUGH I’D WISHED IT. SUDDENLY, HE WAS THERE. 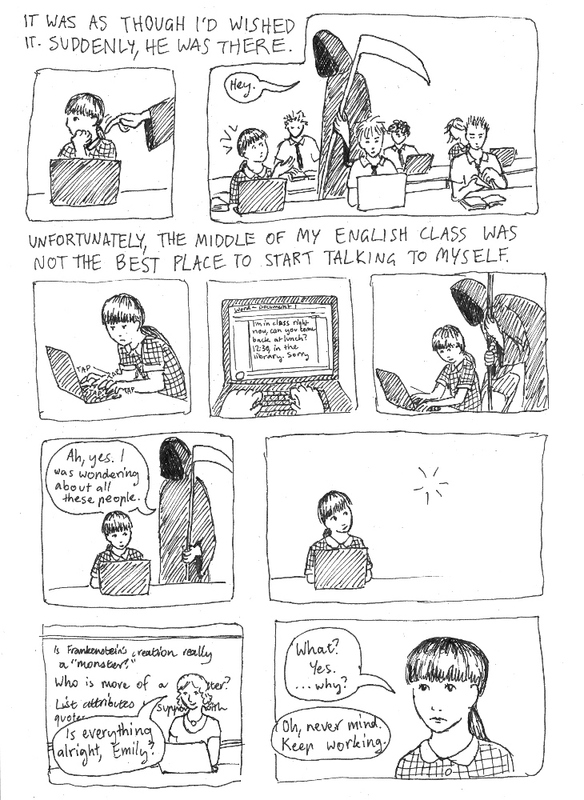 UNFORTUNATELY, THE MIDDLE OF MY ENGLISH CLASS WAS NOT THE BEST PLACE TO START TALKING TO MYSELF. Death: Ah, yes. I was wondering about all these people. Teacher: Is everything alright, Emily? Teacher: Oh, never mind. Keep on working.